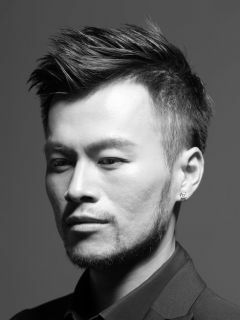 HONG KONG, Jan 29, 2019 - (ACN Newswire) - Three leading Hong Kong fashion designer labels will take part in the Fashion Hong Kong runway show, organised by the Hong Kong Trade Development Council (HKTDC), at New York Fashion Week February 2019, showcasing Hong Kong's fashion creativity to industry elites and style influencers from the United States and around the world. 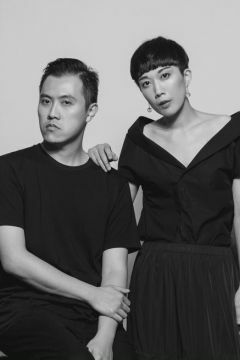 Launching their Fall/Winter 2019 collections at the runway show on 8 Feb (EST) will be Annette Chan (brand: ANVEGLOSA) and the design duo Yi Chan and Lary Cheung (brand: HEAVEN PLEASE+), who return to the show for the second consecutive year, as well as Mountain Yam (brand: 112 mountainyam). An after-show party will be held for the designers to network with industry players. Fashion Hong Kong is a series of international promotions organised by the HKTDC to raise the global profile of Hong Kong fashion designers and labels. Since 2015, Fashion Hong Kong has been staging world-class runway shows at major international fashion events, including New York Fashion Week, London Fashion Week, Copenhagen Fashion Week and Tokyo Fashion Week, to showcase Hong Kong's fashion design prowess in overseas markets. To further promote the city's fashion brands and foster exchange and collaboration between Hong Kong designers and international buyers, the HKTDC will run the Fashion Hong Kong Showroom from 1 Feb to 31 March at FTL Moda, one of the major professional showrooms located on New York's Seventh Avenue, also known as "Fashion Avenue". In addition to the three designer labels showcased at the runway show, 10 other budding Hong Kong fashion brands - BIG HORN and Ejj Jewellery (both returning for another year), ANDREW KAYLA, ARTINI, Berayah, Blank Concept, FAVEbyKennyLi, Jade in Style, Jewcells, and NoBeing - will be featured in the Fashion Hong Kong Showroom. To maximise exposure for the Hong Kong fashion brands during their time in New York, Fashion Hong Kong will take part in COTERIE - the premier global event and trade platform for contemporary fashion brands in New York - for the first time. Participating brands, which include ANVEGLOSA, HOUSE OF V, Methodology and more, will showcase their collections in COTERIE to help them connect with international buyers. Fashion Hong Kong, for the first time, is collaborating with international fashion media Women's Wear Daily to produce a "Hong Kong Style Guide". The guidebook introduces Hong Kong fashion brands that have showcased their collections during New York Fashion Week, including ANVEGLOSA, HARRISON WONG, HEAVEN PLEASE+, Hidy N.G. and Loom Loop. The guidebook will be distributed during New York Fashion Week to promote Hong Kong's advantages as an innovation hub and centre for fashion design. 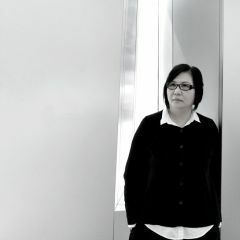 Annette Chan started out as a retailer and manufacturer, establishing her leather company in 1987. With nearly 30 years' experience in the industry, specialising in leather, Ms Chan created her label ANVESGLOSA in 2017, using her extensive experience to reflect her definition of fine clothing: high-quality materials, figure-flattering cuts, and exquisite craftsmanship in unfailing styles. ANVEGLOSA is a contemporary women's fashion brand specialising in leatherwear. The brand's inspiration lies in combining practicality and style. Each piece draws attention not through exaggeration, but through quiet charm. The fashionable, elegant and sophisticated clothes strongly reflect the label's character. The brand has attracted high-end retailers from overseas, including Harvey Nichols, Galeries Lafayette Beijing and Lane Crawford. Mountain Yam graduated with a master's degree in Fashion Design from the Institute of Textiles & Clothing at the Hong Kong Polytechnic University. Yam started his own company, My Fashion International Limited, in 2015. The designer has two labels, couture made-to-order label MYam Atelier and a ready-to-wear fashion label, 112 mountainyam. In 2014, Mr Yam was recognised in the "40 under 40" awards presented by Perspective magazine. In 2018, he represented Hong Kong in the "Belt and Road International Young Fashion Designers Showcase Tour". Designer Mountain Yam likes to explore contrasting elements, drawing inspiration from the natural environment and modern buildings. The brand style carefully combines men's and women's cutting, together with sports and party elements, to create a strong image for the modern woman. Wild animals hide in the forest, avoid being hunted and also seek chances to hunt. When faced with a threat, wild animals believe they will survive only by fleeing. In the human society, people tend to hide in their comfort zone; when facing problems, most people run away or find excuses. It's time to be brave and face them! Get the issues solved and move forward!